Feel free to send us your feedback at onair@netspotapp.com and we'll get back to you as fast as possible. I bought this when it was on sale for $1 and couldn’t be happier. It is undoubtedly worth the $5 asking price, although at that price you might as well get one of their other applications which look to be more fully featured. 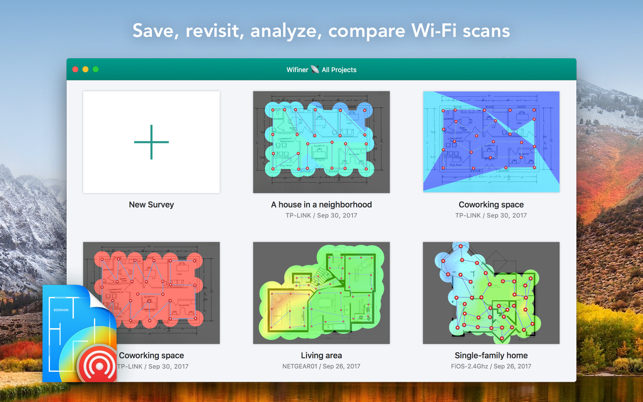 The first thing I realized after getting this is that this is only Wi-Fi analysis software, not a home floor plan creator. That’s fine because there are plenty of other tools to help you do this (including free ones). After I got a rough floor plan made as an image, I was able to import the image and begin using it. 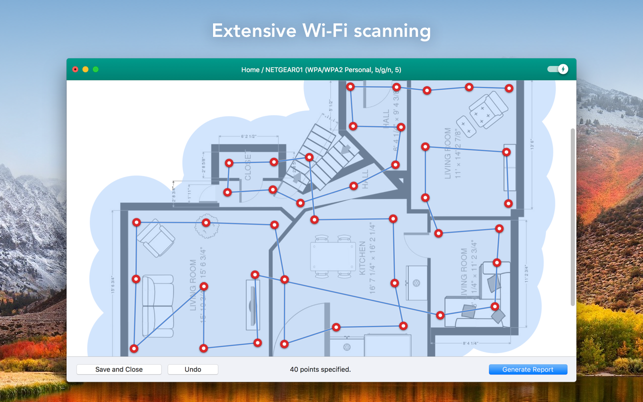 I can see the Wi-Fi deadspots pretty well using this. You can make a good number of adjustments to the report to see problem areas, although you never see any page with actual numbers. 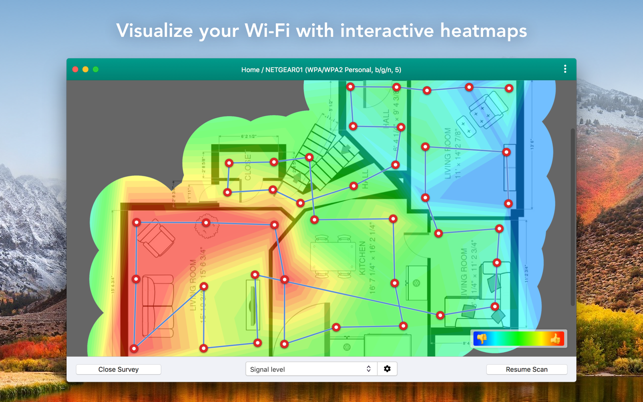 You just get the “heat map” type visualizations as shown above. Pretty basic but good enough for my needs. The demo projects (which can't be removed) seem to have more features than projects created by using the app. Disappointed. Thank you for your feedback. 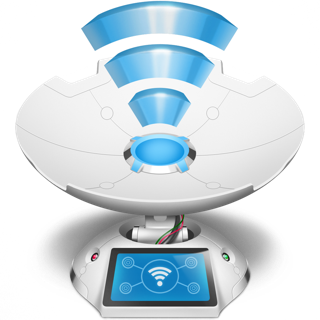 Could you please send us more details to onair@netspotapp.com, we'll be glad to help you.